Get to know the stars. Our﻿ tal﻿ented, beautiful and amazing herd of Therapists. We are so lucky these very special horses call LifeStriders their home. Almar was born in 1992. He is a Icelandic Gelding. Almar came to LifeStriders in June of 2013, and warmed everyone’s hearts very quickly. He is smart, very kind and very patient. He was the horse of a teen girl in the north woods of Wisconsin where he encountered bears and all kinds of other challenges. Almar likes being scratched on his neck and shoulders, and will point with his nose to his itchy spots to remind you gently, to get back to scratching him. Almar's mane and forelock is a constant subject around the barn, what, or who, does it remind you of today. Alterra was born in 2000. She is a Paint Mare. Alterra came to LifeStriders in July of 2013. Before Alterra came to LifeStriders, she was trained for English riding, and had done some showing with her owner and her owner’s son when he was young as well. Alterra had even done some cart work for the Amish before that at, a very young age. Alterra is a very gentle and sweet mare with wonderful ground manners and is wooing many people with her big soft brown eyes. Alterra has a great size and is very responsive to the rider’s cues, building confidence for her riders in their abilities, and making her very versatile for many different riders. Alterra tries very hard to please her handlers and is very patient. Alterra is best friends with Jazzy, makes expert begging faces for her treats, and you might find her resting her chin on the arena fence when waiting for her rider. Cody was born between the years of 1982-1984. 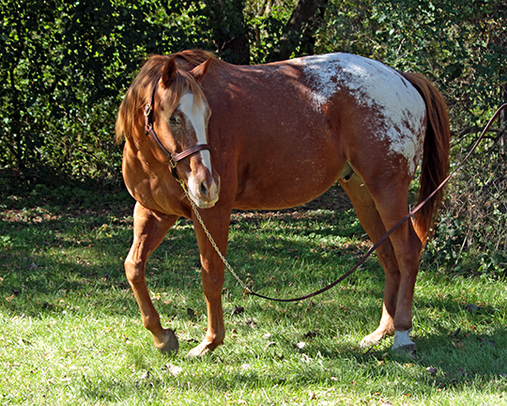 He is a Pony of America Appaloosa Gelding. Cody came to LifeStriders in 2007 and has been an amazing therapy riding horse for countless people. "Cody" has even been the very first words out of children's lips. Cody’s great height, width, and temperament allow him to be very versatile for many different riders, from tiny tots and position changes, to riders working on their riding skills. Cody is very keen on what his riders needs are, and is quick to adapt himself to their learning style. He is patient when needed, but is ready to go when asked. Cody likes walking himself to his own stall, is not fond of certain treats, and takes frequent naps. Elliot was born in 1993. He is a Thoroughbred Gelding. Elliot came to LifeStriders in May of 2012. He is one of the tallest horses here at LifeStriders. Elliot is absolutely a gentle giant. He is very kind, very patient, and very mild mannered. Elliot has smooth gaits that make it easier for new riders to learn to sit and post the trot, as well as develop confidence in their seats. Elliot's size and sweet temperament make him one of the most in-demand horses here at LifeStriders. Elliot loves human affection, and will remind you to pay attention to him with a gentle, but playful nudge to make sure you are scratching and loving on him. Elliot likes to be brushed, hand grazed, and to be the center of attention. Jazzy was born in 1998. He is a Pinto Pony Gelding. Jazzy came to LifeStriders in July of 2013 along with Scout. Before Jazzy came to LifeStriders, he was a family's pony, providing therapy for their two boys, and had done Hippotherapy before that. His size is perfect for riders that need a lot of assistance, as well as for riders that do position changes. Jazzy is very sweet, tolerant, has goals, and a mission in life that he takes seriously. Jazzy loves grass, his lady Alterra, and his friend Scout. Lil Elliot was born in 2000. He is a Quarter horse gelding. He came to LifeStriders in September of 2012. Before Lil Elliot came to LifeStriders, he did miles and miles of trail riding, and has traveled parts of the country to trail ride in the mountains. Lil Elliot is a very gentle and kind soul. Because Lil Elliot is very sensitive, he does very well with riders that are working on riding skills and listens intently to what they tell him. He helps riders build confidence in themselves and their skills with his trustworthy disposition and responsive nature. He is quiet, sweet, and loves rolling in the arena sand. He is a lover man, and will often get caught spending long drawn out moments cuddling and kissing his persons. Lil Elliot also still loves to get out on the trails. Red was born in 1991. He is an Appendix Quarter Horse gelding. Red came to LifeStriders in December of 2011. Red used to be a Polo pony and still likes to keep moving. Red has a very special movement that helps many of our riders with special needs. In the summer time Red's coat glistens and gleams in the most beautiful colors. Red likes his forehead rubbed and is a ladies’ man in the pastures. Scout was born in 1986. We think he is either a Miniature, or Shetland Pony Gelding. Scout came to LifeStriders with Jazzy in July of 2013. Before Scout came to LifeStriders he was a family's pony, providing therapy to their two boys, he did Hippotherapy before that, AND then, before THAT, Scout even did Pony rides at the Wisconsin State fair. Scout has touched many children’s lives beyond what we can imagine. Scout is small in stature, but big in personality and heart! His size, other than making him one of the CUTEST horses at LifeStriders, makes him unique and perfect for riders that need extra help, and our tiny tot riders that might be scared to get up so high on a horse. He is gentle, and tolerant. Scout is curious, loves attention, his friend Jazzy, and food. Xena was born in 1995. She is a Dutch Warmblood/Appendix Quarter horse Mare. Xena came to LifeStriders in September of 2011. Xena was born in Florida, and was shown as a hunter jumper. She came to Wisconsin in 2001, and was trained in Dressage up to 2nd level. Her owner purchased Xena at 8 years old, and did both show and pleasure riding with her. Xena is by far the self-proclaimed “Duchess of LifeStriders”. Xena is sensitive, and responsive to cues, yet patient and solid when you need her to be. Xena’s size, gait, and capabilities make her a great horse for riders who want to progress their skills. Xena bonds to her riders and helps them to accomplish great things while she carries them toward their goals. Xena loves Red, being the center of attention, and being reminded frequently of how special she is. Gone but not forgotten, and in our hearts forever. Jesse was born in 1993. He was an Appaloosa Gelding. Jesse came to LifeStriders in September of 2006. He was the fourth horse ever to join LifeStriders. Jesse was donated to LifeStriders by Eric Henning, and before Jesse came to LifeStriders he was trained in both Western, and Dressage, but didn't really like the competitive thing. Jesse was very sweet, and so dependable, he earned the nick name of “St. Jesse”. Jesse loved to be the center of human attention, and would position himself between two people conversing, just to make sure, one, if not both were petting him. Jesse was the gentlest of souls. With his kind and patient ways he instilled trust and confidence in the meek, and taught more people than we could ever count how to interact with horses not just undersaddle but on the ground also. Jesse loved his job, and gave his whole heart to LifeStriders, for that we are eternally grateful! Jesse passed away on March 30, 2014, he will always be sorely missed. Run and romp through your green pastures now Jesse, but know that we love you so much, and we will miss you until we meet again. Vinur was born in 1989. He was an Icelandic Gelding. Vinur came to LifeStriders in March of 2012. Vinurs name meant "Friend" in Icelandic, and a friend to many he was. He was ﻿sma﻿ll but sturdy in build and his height was perfect for riders that needed a lot of assistance, and for riders who needed to do a lot of position changes. Vinur had an impe﻿ccabl﻿e w﻿ork ethic, was trustworthy and dependable. Vinur was quiet and patient, but still loved to let loose and really go. He LOVED his grass, giving h﻿is leaders a﻿ good arm﻿ work out in the fields when grass was abundant, and was often seen with an artsy up do in his mane and forelock. Vinur was 24 years old when he passed on October 19, 2013, and he managed to touch more lives in those 24 years than we could ever imagine. Vinur loved his job, and gave his whole heart to LifeStriders, and we will always be so thankful for that! We would like to thank ﻿﻿Barb Riva for letting Vinur share his talents and charms with LifeStriders, and want her to know how blessed and lucky we feel to have had Vinur in the program. Vinur will be forever missed.